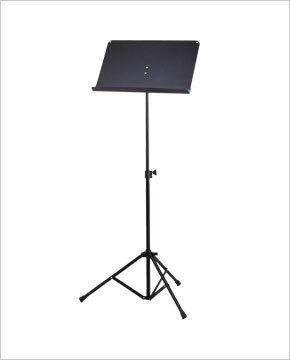 This revolutionary stand incorporates all of the features demanded by today's orchestra musician, including a folding tripod base for convenient storage and travel. The angle adjustment tension knob makes for easy removal from the upper shaft. The stand also features high impact plastic leg housing, friction locking knobs, leg support straps and non-slip rubber feet.